The Pennine Care Health and Wellbeing College has a new campus in Stockport. 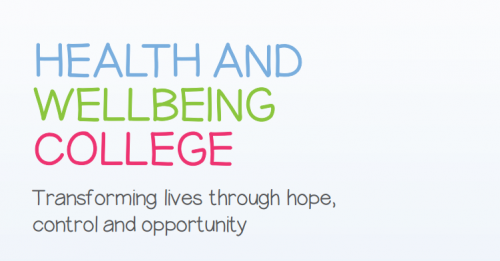 Their courses aim to transform lives through hope, control and opportunity by providing a range of module options on mental and physical health topics and life skills. After a very successful first semester, they are inviting new and existing students to enrol for Winter courses in both Oldham and Stockport. The Stockport campus will be at Stockport College, Wellington Road South, Stockport, SK1 3UQ. Heywood, Middleton, Rochdale, Bury, Oldham, Stockport, Tameside or Glossop. The Winter semester runs between January and April 2017, and enrollment for this is until Friday 6th January. Believe and Achieve – a course to celebrate everyday and long-term achievements, with a focus on self-belief. Curtains to Sleepless Nights – the importance of a good night’s sleep and how we can improve sleep and sleeping habits. I Am In Control – a course helping to manage and overcome anxieties, by learning tools and techniques to deal with types of anxieties. Get Social Media Savvy – learning how to use social media to connect with other people to improve health and wellbeing. This Is My Moment – learn how to be aware of feelings, acknowledge thoughts and gain an understanding of how to use senses to be in the moment. Healthy Relationships (new) – a course to increase awareness about differences between healthy and unhealthy relationships. These courses provide an alternative model to give people a chance to explore ways to understand mental and physical health and improve their own health and wellbeing. To find out more about the College, including all courses and when they take place, click here to read the full prospectus for the forthcoming term.